Don’t waste a failed bread recipe. Transform it in these 4 ways. It’s easy to save a little money if you are willing to look at something with new eyes. Take, for instance, when you’re trying to bake bread or a pastry. I’m more of a cook than a baker, so a lot of my attempts at baking have ended with a something stale and hard. But I feel like I’m dumping greenbacks into the garbage can if I throw away my bricks of bread. Instead, I transform it into something new. 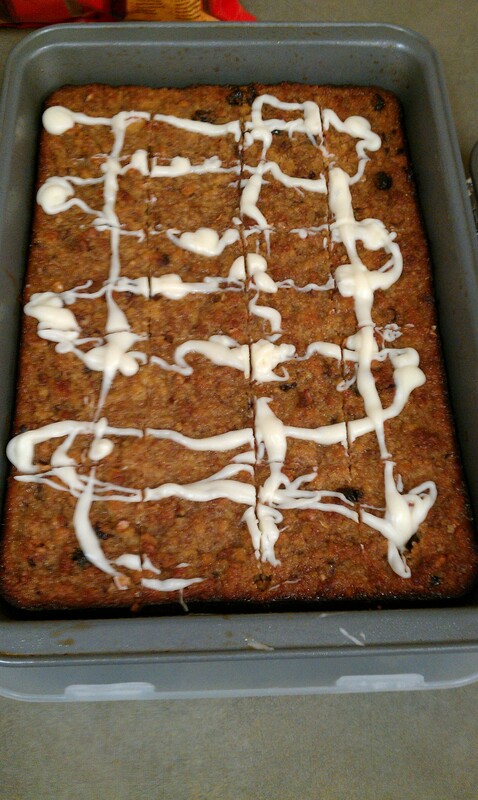 Bread pudding with a bourbon-spiked glaze. Bread pudding. My mom made my dad a Sock-It-To-Me Cake, but she forgot the sour cream, a key ingredient. She was about to throw the whole cake away and make another. I rescued the cake and used it as the base of a bread pudding. Though I came up with a bread pudding based on several recipes, it was very similar to this Kentucky recipe. Stuffing. I don’t want to talk about the time I tried to make biscuits. It was a disaster. But I got some good stuffing from it, so everyone was a winner. Croutons. If you have some stale bread, or a really bad hunk of a loaf that just didn’t quite turn into the bread you wanted it to be, slice it into squares, toss with some olive oil and Italian seasoning, and bake for about 10 minutes or until crunchy. Thank me later. French toast. When I was a kid, I remember watching an episode of The Babysitters’ Club in which a kid spilled some milk on the counter. A teenage boy trying out to be in the club cracked an egg on top of the milk, dipped some slices of bread in the mess, and fried it on a griddle. That kid was on to something. This is perfect for that half loaf of bread you didn’t get to fast enough. What do you do with bad bread?